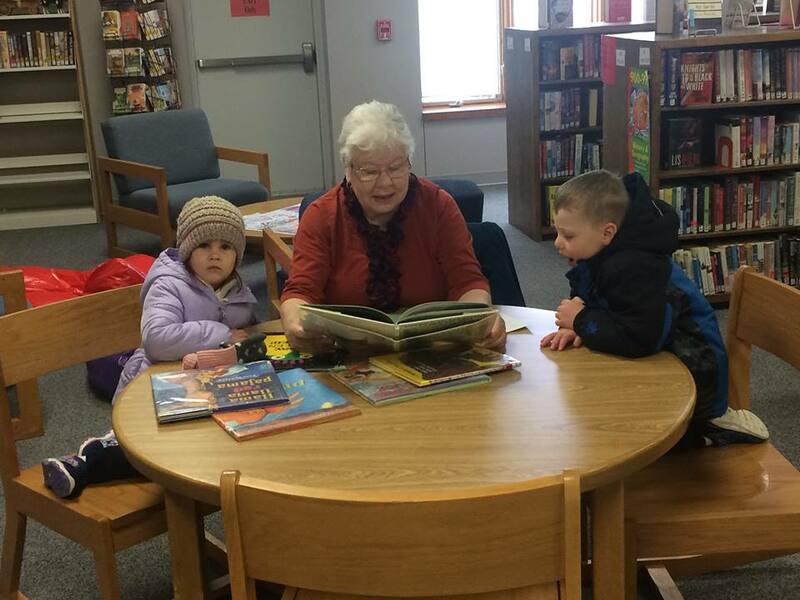 Loup City Public Library – Page 2 – opening our doors to life-long learning…. 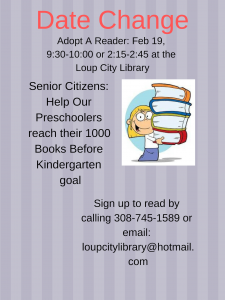 We had a great turn out for our “Adopt A Reader” Day. We had 7 morning and afternoon adult volunteers and 30 kids. 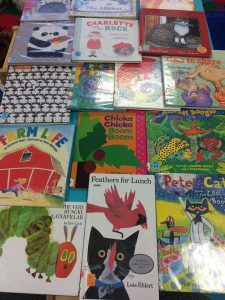 Together, they read a total of 102 books! A thoughtful romance between two misfits. Light, sassy banter regarding deeper, darker subjects. Go ahead! Give it a chance! 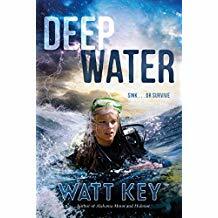 Key writes this survival tale with an intensity that puts you in the shark-infested waters with the protagonists, just where you don’t want to be. It was a highly uncomfortable but very entertaining read. The only issue I had with the story was the young boy’s reaction to his father’s accident. It seemed unrealistic. Joseph has a hard time in school. He can’t pay attention in class and the bullies love to torment him. 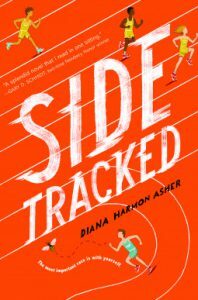 Heather is the new girl in school, but when the bullies decide to make her a target, they may just get more than they bargained for. 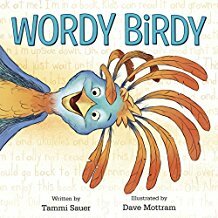 A wonderful story of friendship, respecting differences, and putting in the effort to achieve your dreams. Amazing adult characters and lots of humor elevate this book a notch above the rest. 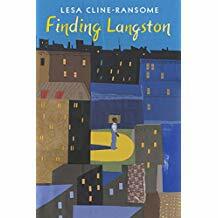 **If you have kids who loved “Ghost” by Jason Reynolds, this might make a good comp! 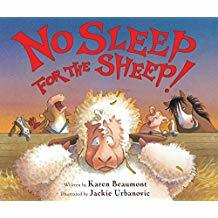 This little book tells the tale of a sheep who just can’t get any sleep due to the other occupants of the barn. Great pictures and lots of fun. 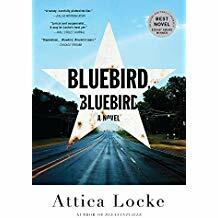 In Locke’s complex mystery, the reader takes a hard look at the secrets and racism endemic to an East Texas town and the repercussions on the small town population living with them. A complex weaving of past and present and the politics that keep them melded. This is so much more than the standard who “done it”. Beautiful writing and an engaging read. None of the characters are of the “too sweet” variety. 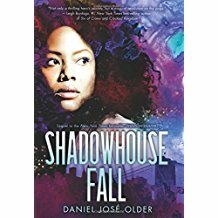 Shadowhouse Fall by Daniel Jose Older is an urban fantasy with tight friendships and teens using their creative talents to battle heinous, power hungry demons. I rarely read sequels in this genre; however, this was well worth it. 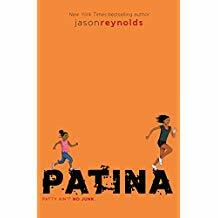 Patina is the second book in Jason Reynold’s “track” series. It is a small book dealing with large issues such as: the chronic illness of a mother, the death of a father, and the tumultuous period of life when fitting in sometimes means being willing to stand out. Patina is an “old soul” trying to fit in to a school where everyone seems wealthy, white, and uninterested in the things that rock Patina’s world. 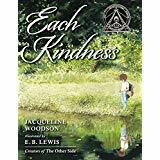 Each Kindness by Jacqueline Woodson is a gorgeous picture book explaining the importance of kindness and the regrets a student has upon losing her chance to be kind to a classmate. 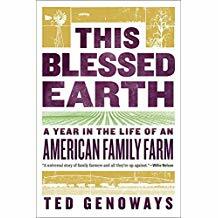 This Blessed Earth: A Year in the Life of an American Family Farm by Ted Genoways. All politics aside, this One Book One Nebraska selection is just what it says on the tin. Genoways spent time planting, harvesting, and working cattle alongside one Nebraska family and details the challenges they have faced and overcome and the obstacles which remain. Additionally, the author describes the history of farming in Nebraska, the industrialization of farming, the introduction of agribusiness corporations, and the changes made in farming following the Great Depression. Anyone interested in farming or Nebraska history would enjoy this book and it would be a great book club selection. 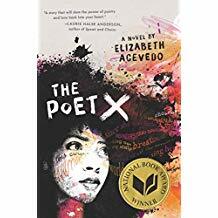 The Poet X by Elizabeth Acevedo is a book written in verse with an almost mythical intensity. Xiomara is a teenage girl dealing with a changing body and the reactions of boys and men to those changes. Toss in family strife and disagreements regarding religion and you have a great teen book racking up awards right and left. 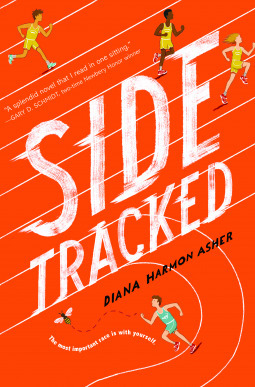 This book has won the 2019 Michael L. Printz Award and the Odyssey Award. As evidenced by the Odyssey Award, it is great on Audio. 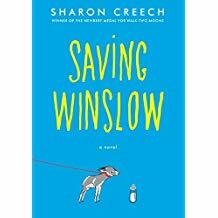 Saving Winslow by Sharon Creech. The author didn’t stint on the beautiful writing in this little book about a young boy caring for a sickly, newborn donkey. Louie learns how to provide the emotional and physical care the young donkey needs. 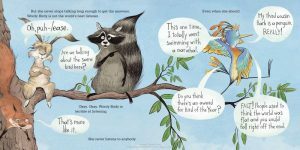 There are themes of responsibility, making friends, and missing a sibling; however, they are offset by humorous writing and a sweet little donkey who will steal your heart. 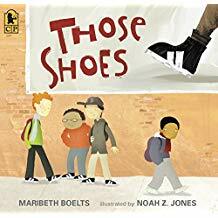 A young boy desires a pair of shoes just like all of the cool kids in school wear; however, his family can’t afford to buy them. He finds a pair at the local thrift shop but they are too small. A wonderful tale of generosity, friendship, and the difficulties of fitting in when you don’t have the funds to buy the “latest thing”. 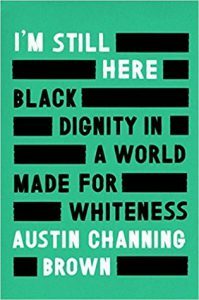 This digital audiobook was an informative and honest look at what it means to wake up and walk out into America as a Black Woman, Mother, and Coworker. Armand Gamache, Chief Inspector of the Surete, is a much more morally ambiguous character in this the fourteenth installation of Louise Penny’s Three Pines series. These characters are so “real” that it is necessary to remind oneself that it would be impossible to call them up or go visit them in their little, homicidal, Canadian village. Penny adeptly mixes literary fiction with good old-fashioned mystery in her series and to good effect. When Gamache muses “Things sometimes fell apart unexpectedly. 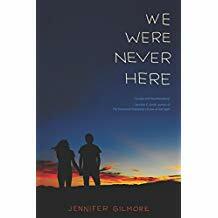 It was not necessarily a reflection of how much they were valued”, we may wonder if this is a somewhat autobiographical inclusion to the almost nixed series. Family drama, old feuds, Canadian politics, the drug trade, and even the Nazis find a way into this tightly woven story. I highly recommend the whole series. I have been hearing teenage girls rave about these mysteries for some time, so it was time to give one a read. 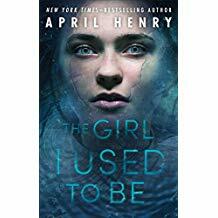 April Henry packs a punch in this intense mystery about a young woman returning to her childhood home to solve the mystery of her parents’ deaths. 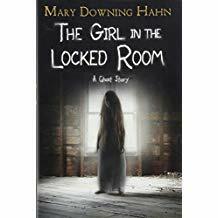 A little romance and a lot of suspense will keep you turning the pages of this young adult mystery. A creepy, little ghost story. 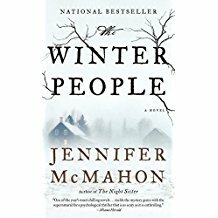 Weaving narratives from a tragedy in the 1800s with a present-day ghost story, this novel does a masterful job of engaging the reader. The resolution was a little complicated, but overall a thoroughly enjoyable tale. 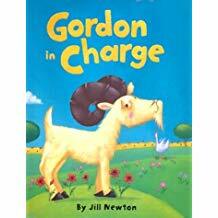 Gordon the Goat is in charge of the farm until Gordon the Goose makes his entrance. As they fight over the right to boss all of the other animals around, it is easy to see how tiring constant conflict can be. A funny little farm story. 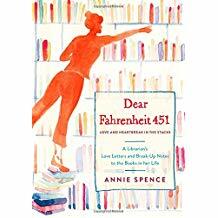 Annie Spence, a librarian, has written many the love letter and many the break-up note to the books in her life. As with most books of collected essays, some were funnier than others. All were told in very forthright language. 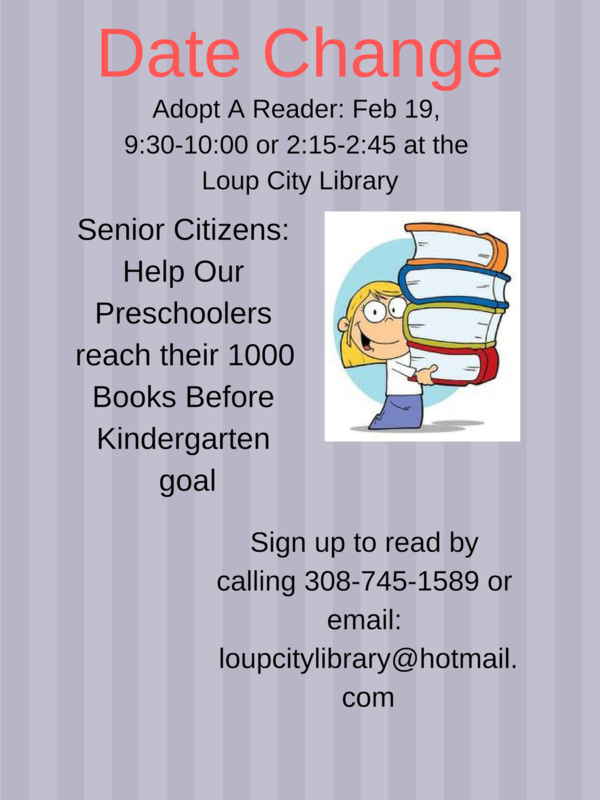 The Loup City Library in partnership with the CNCAP Leap Into Learning Preschool and the Sherman County Senior Center are planning an Adopt a Reader program at the library at 9:30 AM and 2:15 PM on February 12th. Each program will last 30 minutes. Our Preschool children are attempting to read 1000 Books Before Kindergarten and we are asking Seniors to help them reach that goal by reading preselected easy books to them. Please join us! We can do this! 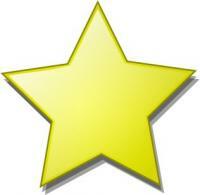 Also, if you know any children who attend the preschool, please cheer them on! — with Sherman County Senior Center. 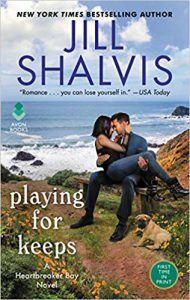 “Sweet Little Lies” is the first in the Heartbreaker Bay series by Jill Shalvis. Humor, friendship, family angst, and love fight it out for top billing. Pru and Finn, the main characters, share a troubled background as both lost their parents and are striking out on their own. Prudence works on a tour boat in San Francisco Bay and Finn is trying, with the “help” of his irresponsible brother, to keep O’Riley’s pub afloat. If you like contemporary romance, it is well worth your time. Into every life, a little rain must fall. 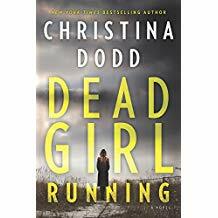 This is the first in a new Christina Dodd series called Cape Charade. The storyline was a little convoluted; however, it did deliver in the suspense department. Unfortunately, it lacked the chemistry and humor usually found in Dodd’s books. The rain continued to fall in this book. A teen girl becomes extraordinarily ill at camp and becomes hospitalized. 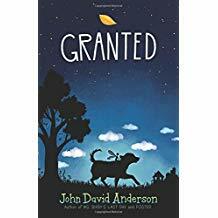 While she is undergoing procedures galore and a life-changing illness, she meets Conner and his dog Verlaine. 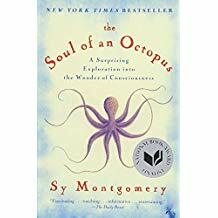 The first part of the story is well written and an eloquent portrayal of the anger, depression, and fear of the protagonist; however, halfway through it loses its way and becomes overly sentimental and schmaltzy. After a somewhat lackluster week of reading, I wasn’t looking forward to reading a book about Fairies. I was wrong! This was magic! Haven is the home of Fairies including wish granters like Ophelia. This is a parallel world fantasy and there isn’t much in the way of world building because most of the novel takes place in “our” world. 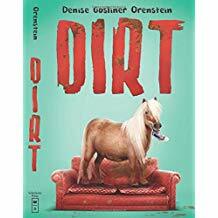 The characters are simple but fantastic and the plot and the story line are good. This was much more fun and adventurous than I had anticipated. A great moral lies at its heart without the story ever feeling “lecture” like. Add a little bit of magic to your life, read this one. 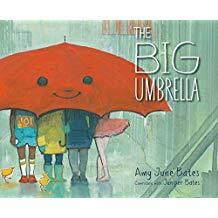 “The Big Umbrella” by Amy June Bates does more with a few words and illustrations to portray community, kindness, and inclusion than many adult books I have read on the subject. 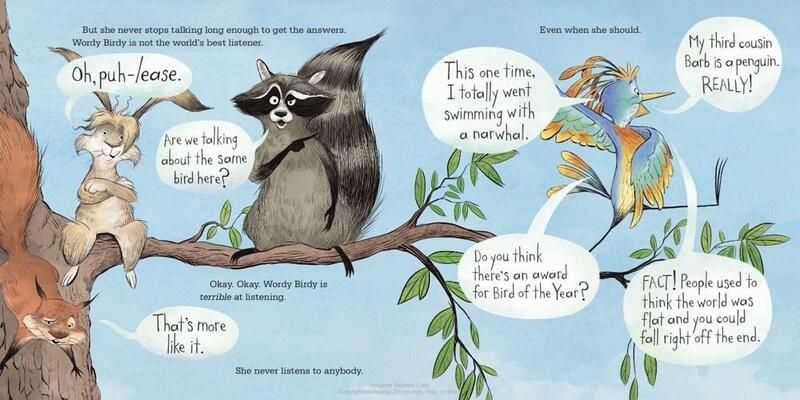 This little gem is definitely worth sharing with your child. Like the big umbrella, you too will end the book with a smile. 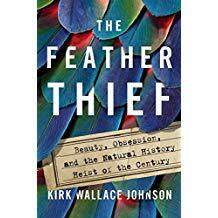 I listened to “The Feather Thief” by Kirk Wallace Johnson on audiobook through Overdrive. Who could guess the story of a flutist and fly-tier who steals a bunch of rare bird carcasses from a natural history museum in England could be so interesting? This is a story of opposing values and needs. The author needed something to give him respite following a harrowing ordeal and a nerve-wracking, stress-inducing program to bring Iraqi refugees to the United States. A police officer had to prioritize solving more violent crimes over this one. The thief wanted to make some cash to provide him with the things he thought he deserved. The collection he stole had been obtained for the museum by someone who was self-taught and wanted to provide not only financial security for himself but also knowledge to his nation. 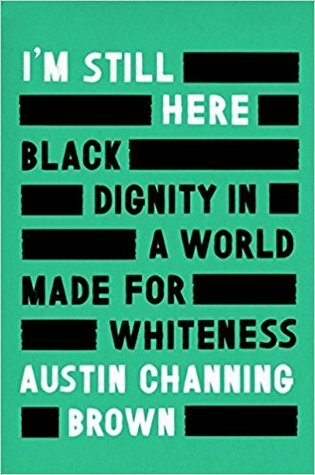 This was one of the most buzzed nonfiction books of 2018. 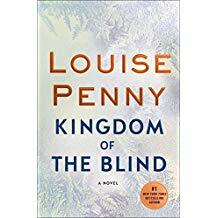 Start your new year off right with this fabulous series by Louise Penny. Set in a tiny village in Canada named Three Pines, you will come to love the recurring characters and the fabulous writing. Glass Houses happens to be the thirteenth in the series. 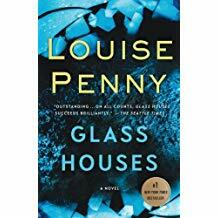 I don’t start Louise Penny books unless I have the time to finish them the same night and if I don’t have the time….well, I finish the book anyways. This mystery required a suspension of belief at the start of the novel when a mysterious grim reaper figure shows up at Three Pines and stands in the village square for a couple days during the winter. Hmmm….. How easy is it to stand still in the bitter cold? And not need to use the facilities (although, granted, this would perhaps kill some of the mystery). However, once the murder happens and ties into the larger picture of Canadian criminal intrigue, the story rolls along gracefully. 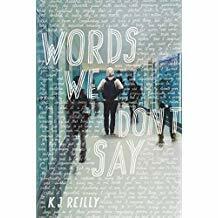 My New Year’s Resolution is to put Words We Don’t Say by K.J. Reilly into the hands of every Teenager I know. 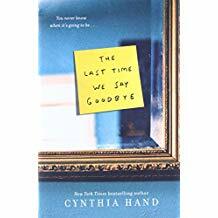 Utilizing humor and an occasional use of “texting”, this novel portrays the real grief a teenage boy deals with as well as the way he has isolated himself from others. He still attends school and does community service; however, he only shares his real feelings through texts that he never actually sends. 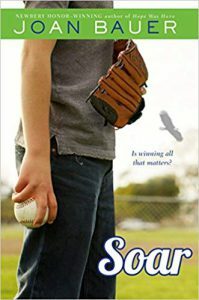 The main protagonist in Soar has courage, wit, and is a heart transplant recipient. The plot is fantastic. A town obsessed with winning finds out the high school baseball boys have been pumped full of steroids after one of the boys dies. Jeremiah can’t play his beloved baseball due to his heart condition but he decides to “coach” the currently nonexistent middle school team. Dealing with bullies and negative comments becomes a way of life. This is a winner all the way around! Characters, plot, and writing are all wonderful. Charlotte wants a pet. Any kind of pet will do. Charlotte’s parents get her a pet rock. 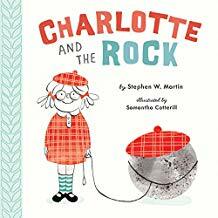 Humorous illustrations show Charlotte trying to walk her rock (more of a boulder really) and trying to feed her rock the broccoli she doesn’t intend to eat herself. Fun and charming.